If ever there was a great advertisement for the 5-day format it was the first Test between England and India a nail-biting contest which saw England win by 31 runs. With Virat Kohli’s side looking to bounce back at the home of cricket, Grosvenor’s cricket expert brings you the best cricket bets for the second Test. 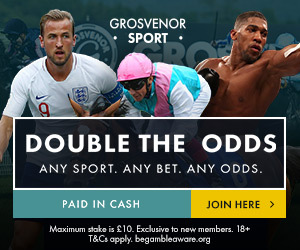 Fresh off the high of their thrilling first Test victory, England are favourites for the Lord’s Test and can be backed at Evens with Grosvenor Sport to go 2-0 up. India however cannot be discounted as the number one team in the world they certainly have the potential to unsettle an English side which will be without star all-rounder Ben Stokes, 7/4 looks good value to see the visitors bounce back. England opener Keaton Jennings looked all set in the first innings at Edgbaston, he left well outside off and in the end was unlucky in his mode of dismissal. In the second innings he got a good ball in what were tough conditions but I fancy him here to cement his place in the side with a big score. Jennings to score over 22.5 in his first innings looks a great bet at 5/6. Before the series opener many were pointing to Virat Kohli’s dismal record in England, him having only averaged little over 13 in the UK. In Birmingham he silenced his critics with a truly brilliant 149 in the first innings followed up by 51 in the second innings. Kohli was the only ray of hope in the India batting line-up, he can be backed at 5/6 to score over 44.5 in his first innings. With the absence of Ben Stokes and the poor form of Dawid Malan, England have brought in Chris Woakes and debutant Ollie Pope. I really expect something big here from Chris Woakes whose bowling absolutely thrives in English conditions. Woakes averages 23.33 with the ball in English conditions compared to 61.77 outside of the UK, at Lord’s his record is even better averaging an amazing 10.00. Woakes can be backed to be the leading wicket taker in the first innings at a very exciting price of 7/1. If you really like the sound of all-rounder Woakes who also likes batting at Lord’s averaging 62.00 and whose last innings saw him hit 57 of 23 balls in a T20 game, he is a massive 18/1 to be man of the match.